Self-defense forces in the town of Gorlovka, eastern Ukraine, say they have downed another plane - a Sukhoi-24 bomber jet. 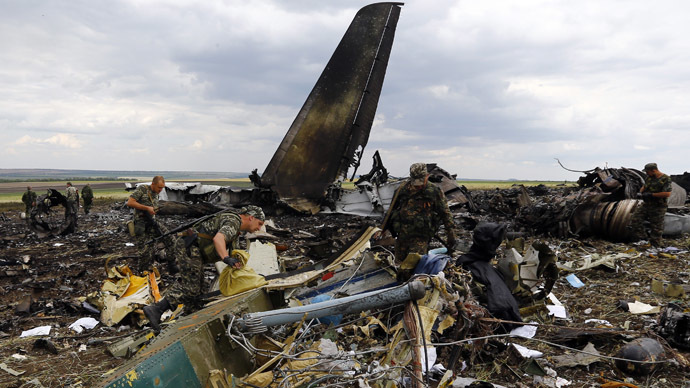 The pilot is alive and currently being taken for questioning, witnesses told RIA Novosti reports. There were a total of two jets taking part in the overnight bombarding of a local police station. The news follows reports of the two planes performing an attack around 4:30am local time (01:30 GMT), which resulted in losses among the self-defense forces ranks, as well as civilians. Two have been killed and seven injured in the attack, according to police reports. "The plane was downed just outside the Kayutovo township, we know at this time that the pilot is being taken in for questioning by the police," a witness told RT by phone. The witness has confirmed police reports of casualties sustained during the night's fly-by attack, but put the number of injured at six. No information currently is available as to the pilot's physical state. There were also reports of Ukrainian militias carrying out several airstrikes on the neighboring town of Druzhovka. 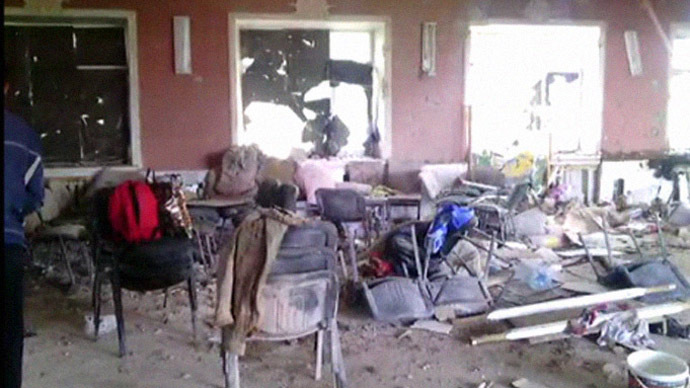 Below is a witness video of the aftermath of the early morning bombardment. Black streaks can be seen across the blue sky here. Another Ukrainian plane was downed last night, when self-defense forces operating under Lugansk took out an IL-76 transport jet with 49 people onboard, just as it was making its descent toward the airport. “It was hit with a rocket. We believe there were military troops on board,” a spokesman for the militia HQ told RIA Novosti. The Il-76 is a heavy military transport aircraft that usually has a crew of seven and can transport up to 167 soldiers with weapons. The downing of the plane overnight Friday was apparently the biggest single loss of Kiev loyalist forces, which has been waging a military crackdown on defiant eastern provinces for three months.